For our part, we dare to say Peru is an incredible destination that can be enjoyed all year round. 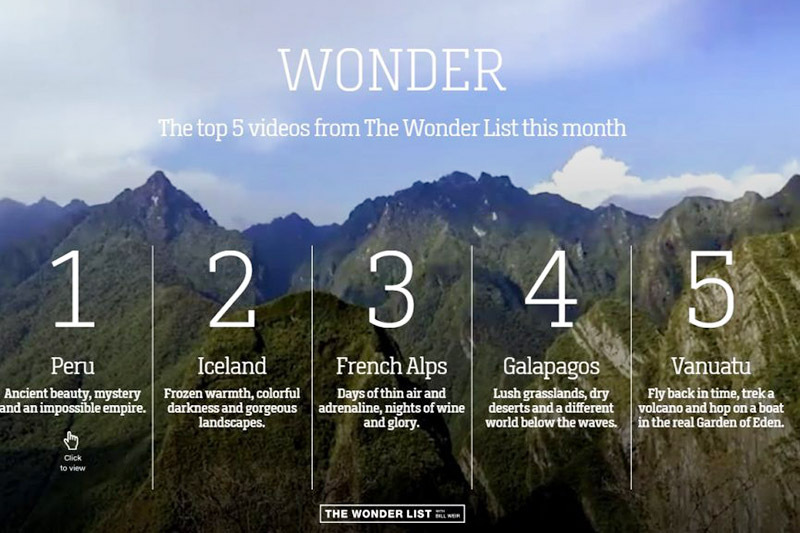 ” The Wonder List“, the whimsical ranking of videos that monthly publishes in its web portal the international chain CNN, has chosen to Peru, especially the places that can see in Cusco, like the “Wonder of the Month“; but this is not uncommon, as Cusco is considered the best destination in South America. But we have to say that this is nothing new, as Peru is one of the favorite places for major publications and travel websites around the world. 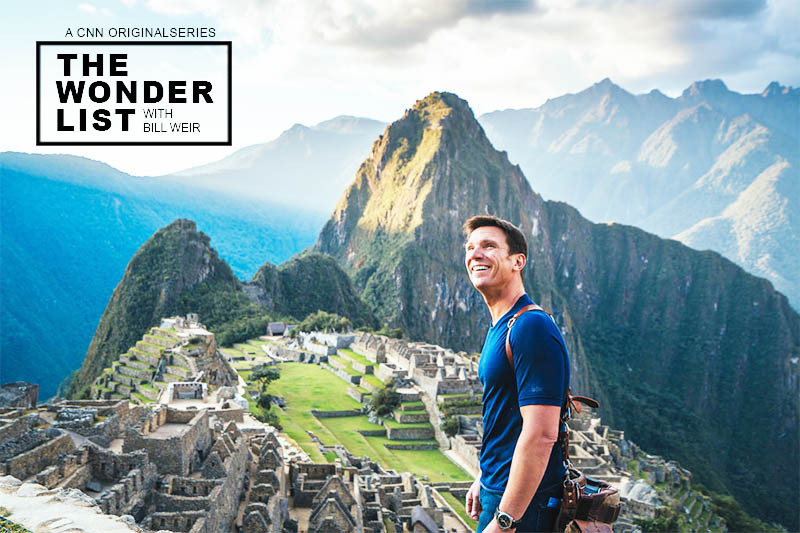 This time, the video prepared by CNN, includes images of Sacsayhuaman Fortress, Choquequirao, Machu Picchu and Cusco, as well as places like Lake Titicaca. If you still do not know these places, after watching the video you will want to do it as soon as possible. According to the US portal, the attractions in Peru should be considered above the rest of the list, Iceland, the French Alps, the Galapagos Islands and the Republic of Vanuatu. CNN does nothing more than confirm what most Peruvians know: Peru is wonderful and no one can say otherwise. In addition to the aforementioned places, there are other amazing places not yet well known that you should take advantage of visiting, before they appear in similar lists and you will have to reserve a place with months in advance; such as the case of the Machu Picchu tickets that include the Huayna Picchu mountain. We can mention places such as the Inca city of Ollantaytambo, the archaeological complex of Kuelap, the Manu nature reserve, the Paratoari pyramids in the Amazon jungle or the incredible Nazca lines; but there are hundreds of incredible places in Peru, and lots of the delicious food that you can enjoy while reaching them. As it reads, Peru is one of the most privileged places of the planet, it has three natural regions that give shape to some of the most impressive landscapes that exist, the gastronomic customs of the Pacific coast, the Andes mountain range and the Amazon jungle place Peru as the most important gastronomic destination in the world. But you should not come to our country just for Machu Picchu or Cusco; the gastronomic experience you can have in Peru adds to all the incredible places that you have and the old structures that you can see in many of them. And the Peruvian food wins thousands of supporters every day. When Peruvians talk about our country, we can not stop talking about food and recommend a “huarique” (place where you can eat rich and cheap), it is part of our culture. CNN also drew up a list of the world’s most underrated restaurants, “Al Toke Pez,” by Peruvian chef Tomas “Toshi” Matsufuji, as an economic proposal in Surquillo, Lima. According to international network CNN, “Al Toke Pez” should be considered as one of those “unrecognized heroes of world cuisine”, often title for this restaurant that – we know – has it well deserved. Our editorial staff was able to corroborate personally the incredible food of this Chef, we recommend you go to this small restaurant and ask for a “combo” (ceviche, fish cracker and rice with seafood); you may have to order takeaways, as your 12 or 15 available places are always busy. However, according to the CNN report, the chef’s most famous dish, which has a PhD in supramolecular chemistry, is the fried fish cheek. The United States is one of the most important markets in the world. In 2016 Peru received 3 million 744 thousand 461 international visitors; Of these, 1.4 million visited the Inca city of Machu Picchu, and more than half a million came from the United States. On the other hand, a US visitor spends an average of $ 1,444, while an average foreigner spends $ 994.